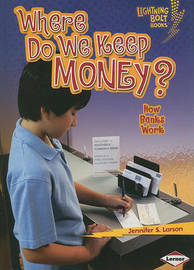 Have you ever put money into a bank account? Or withdrawn money to buy a video game? Then you eive used a bank! Banks are businesses where people keep their money. Banks help us save and spend wisely. So how do banks work? What kinds of bank accounts do people have? Read this book to find out!